TATA AIA Life Insurance is a joint venture between Tata Sons Ltd. and AIA Group Ltd. and is considered to be one of the most respected insurance companies in India. It is known to provide a plethora of insurance products catering to various needs of its customers. TATA AIA Life Insurance has established its might as one of the biggest players in the insurance industry as its new business weighted premium was worth Rs.784 crore for the year 2017 and its claim settlement ratio currently stands at 97.04%. 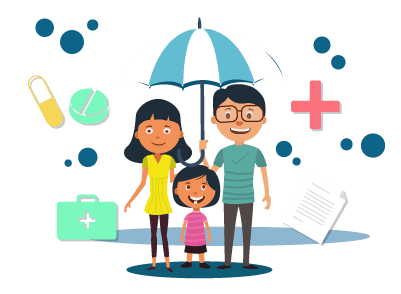 The insurer is also known to take great care of its customers and is always ready to help a person with a policy related query. Residents of India can call on the number 1-860-266-9966 anytime between 9:00 a.m. and 9:00 p.m. from Monday to Saturday. Residents who stay outside India can get in touch with a customer care executive by calling on the number +91-80-67603700 anytime between 9:00 a.m. and 9:00 p.m. IST from Monday to Saturday. People who reside outside India can email their queries to nrisupport@tataaia.com. Customers who have claim related issues may get it clarified by sending an email to customercare@tataaia.com. TATA AIA Life Insurance provides its customers with the SMS facility in case they have any query. A person needs to SMS ‘SERVICE’ and send it to 58888 and they will hear back from a customer care executive within one business day. Customers can receive important information and updates by typing the message in a certain format and sending the SMS to 5676799. For example, if the customer wishes to find information regarding his/her Unit Statement, he/she will have to type in UST 1234567890 abc@xyzmail.com and send the SMS to 5676799. The customer can provide his/her email ID only if he/she wishes to receive the information via mail, otherwise, the insurance company will send the relevant information to the customer’s communication address. A customer can use the EAZY CONNECT Chatbot facility to get in touch with a customer care executive. The service is available on Facebook Messenger, Twitter DM, and WebChat. A person can also send in his/her queries by sending a WhatsApp message to 7045118888. The facility is available between 9:00 a.m. and 9:00 p.m. from Monday to Saturday. Customers can use the ‘Write to Us’ facility in case of any queries they want to get clarified. The person will have to visit the ‘Contact Us’ section on the insurer’s official website. He/she can easily locate the ‘Write to Us’ tab, clicking on which will open a page where he/she will have to fill in his/her details such as name, policy number, sum assured, date of birth, mobile number, email ID, and the description of the problem faced by him/her. The person can finally click the Submit button after he/she has filled in all the important details of his/her complaint/query.